With heavy coastal rain just starting to ease it seems a perfect time to release this warm and vibrant still life painting. This 16 x 20 inch oil on canvas painting is a study of whites and how they are always leaning towards one colour or another. 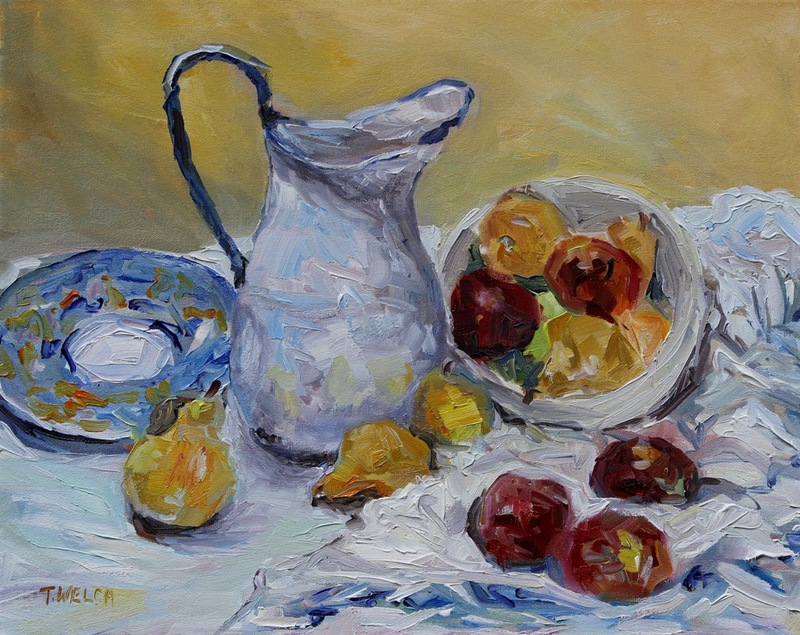 The tastes, smells and texture of this still life slid onto the canvas in loose wet-on-wet brushstrokes. Thank you for the link to my blog. I enjoyed viewing the paintings on your site.